“You’re doing it wrong.” Though not a new phrase, the saying has taken on new meaning in the meme-crazy world of the internet. The phrase is almost always accompanied by a photo that demonstrates a mishap, a foible, or an accident of some kind. Here is Mario from 1982, the year I was born, and all I can think about when I look at this image is that the artist got him wrong. This is not Mario. This looks more like Waluigi than Mario. The trappings are there–the overalls, the mustache, the cap–but what’s with the eyebrows, the purple undershirt, the pointed chin, the eyebrows that create a general look of aggression? The temptation then is to say “this is not the Mario I grew up with,” but I’d be wrong. This is the standardization of my memory and not the actual experience. I didn’t grow up with any one Mario at all. The Mario of Donkey Kong, and the Mario Bros. series changed with each game. In Mario 1 the undershirt was brown. 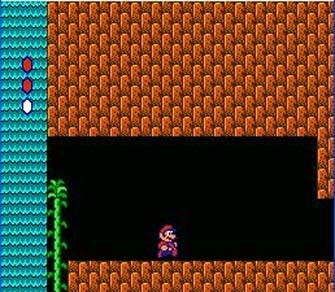 In Mario 2 the colors of the trademark overalls and shirt are inverted. 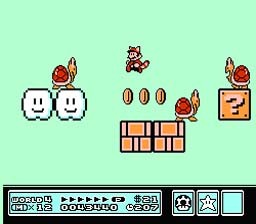 In Mario 3 the overalls are practically black. Of course, this doesn’t even include the times Mario moonlighted as a referee and a doctor. I have a very specific idea of what Mario should be, static like Mickey Mouse. And indeed Mario has become quite standardized, the summary of our collective story making with the character. Growing up Mario must have been more of a wild card, brash in his young age. These stickers are as old as me, and I’ve only owned them for three months. They do not reflect my childhood any more than the standardized Mario does, because the Donkey Kong Mario is coaxing quarters from Dad and Uncle Bob at pizza parlors after softball games, and the Mario of the original Super Mario Bros.is the Christmas my parents felt so sorry for my sister and I that they finally broke down and bought us a Nintendo. This entry was posted in Creative Nonfiction, Writing and tagged Creative Writing, Nonfiction, Writing. Bookmark the permalink.